"There's a bit of wall as well, you know." 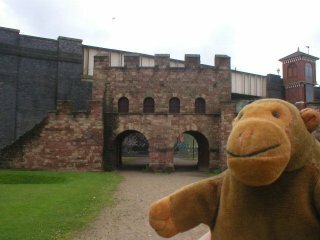 On the way to the MSIM, Mr Monkey visited the rather incomplete reconstruction of the Roman fort of Mamuciam. Of course, the Roman fort probably looked more impressive in Roman times, before they built a railway bridge through it. And when it was full of legionaries with sharp pointy things, obviously. 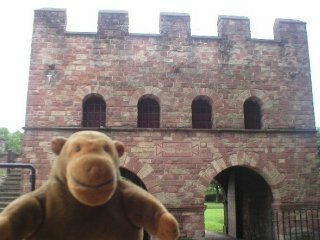 Mr Monkey found a better Roman fort at Arbeia in South Shields when he went on holiday in September.